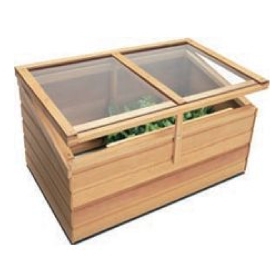 Although a cold frame can be an effective production unit alone, it is commonly used alongside a greenhouse to gradually acclimatise plants from inside the greenhouse to the garden environment. 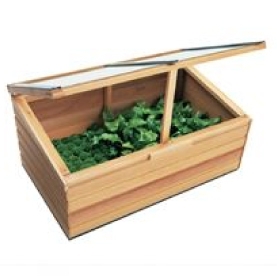 From overwintering dormant, more tender plants to giving seedlings an early start, seedlings grown indoors can be moved into a cold frame weeks early; this will also help harden them off by closing the lids if frost is forecast. 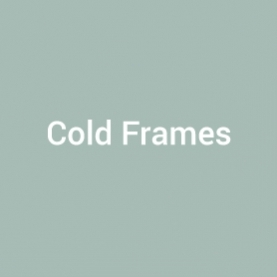 To protect your plants from damage caused by extreme wind or cold temperatures, all our cold frames have toughened safety glass as standard. 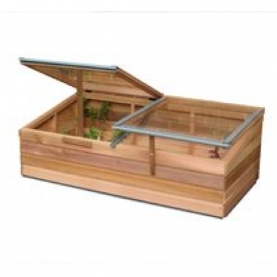 With the Essential and Baby Grand Cold Frames the lid is fully glazed; the Grand Cold Frame has two separate lids which make it ideal for growing a variety of different plants. We can provide a plan for preparing a brick base for your cold frame should you prefer to replace the cedar sides with brickwork.